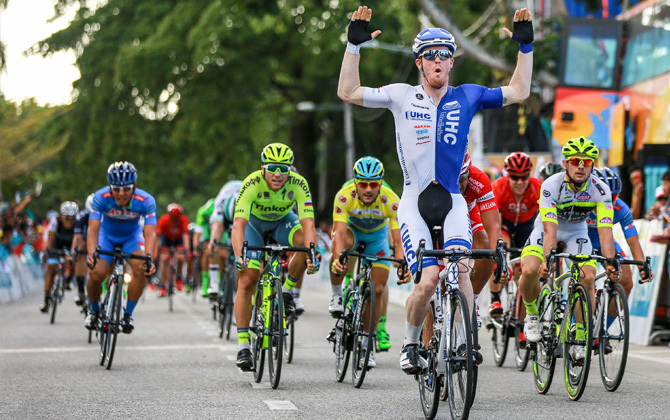 United HealthCare’s John Murphy fended off any rivals during today’s Tour de Langkawi, to claim stage 3 in a sprint finish ahead of Francesco Chicchi, Jakub Mareczko and Andrea Guardini. 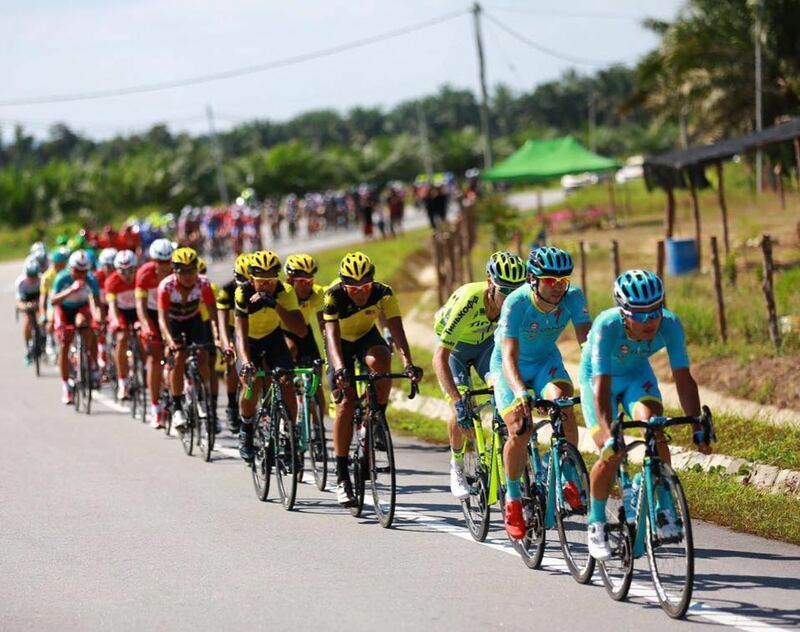 A small breakaway group containing Donaben Goh (Terengganu), James Oram (One Pro Cycling) and Joao Pereira (Funvic-Soul-Carrefour), remained out front for 100 kilometers of today’s 107 kilometer stage, and at one point reaching a maximum advantage of 3:40 over the peloton. 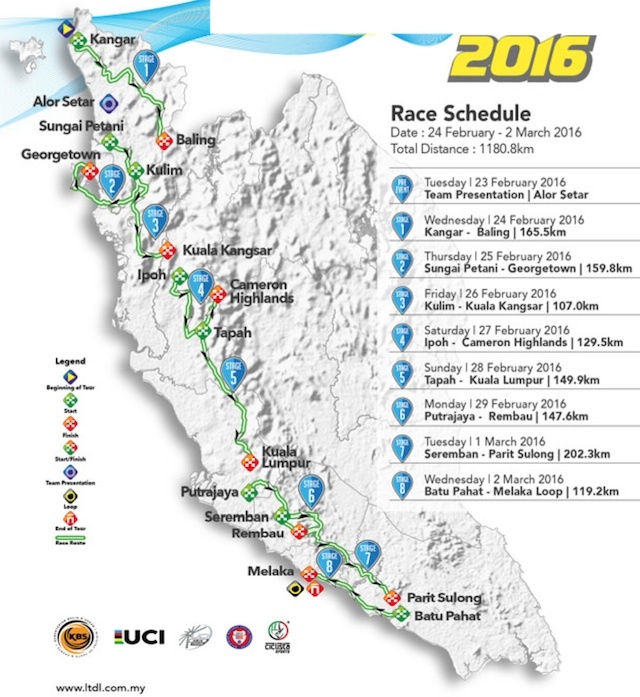 However, the remaining two escapes, Oram and Goh were eventually reined in by the peloton during the final 2 kilometers. 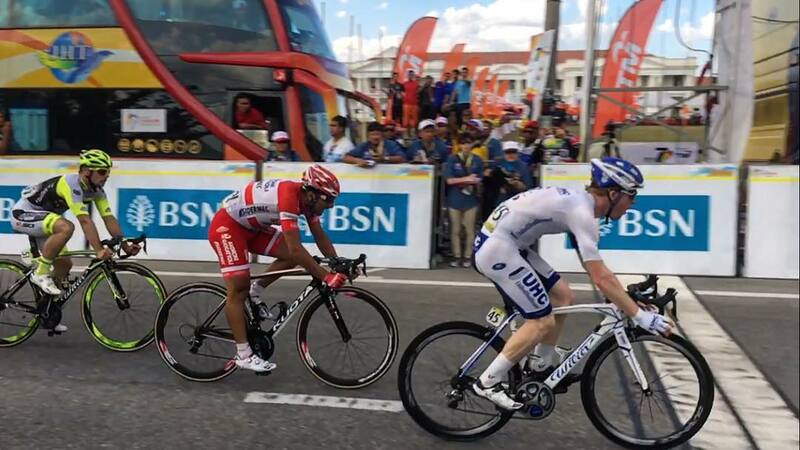 From there, teams began ushering their respective sprinters into place, with there American rider ultimately emerging as the strongest sprinter. “I was in fourth position at the last curve then I got a bit lost in the sprint”, Mareczko described. 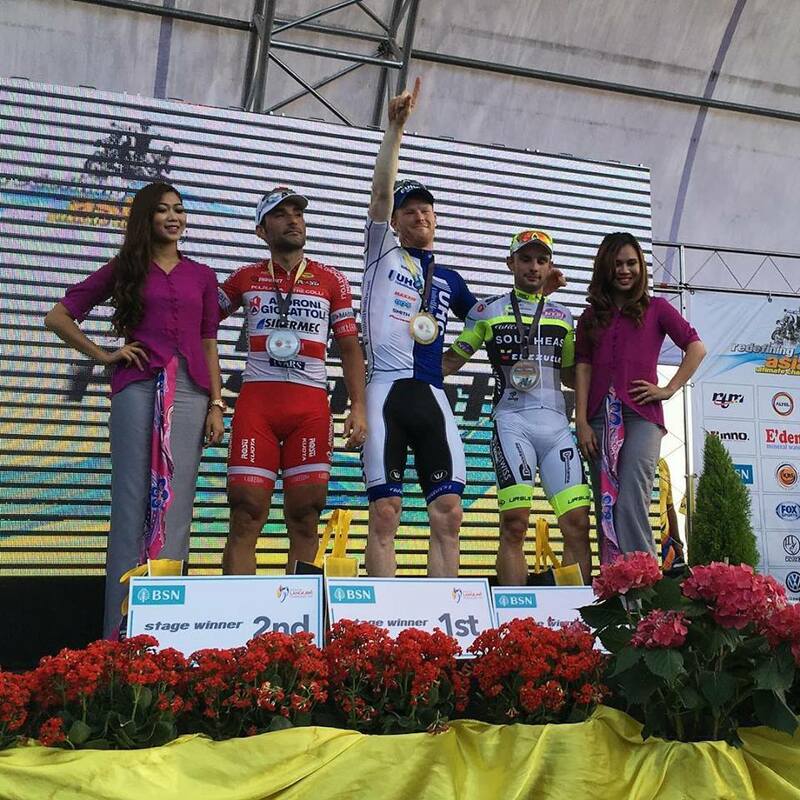 “I recovered some positions and managed to pass Guardini but I couldn’t get better than third.”.